The Gala Regatta was conducted from 18-19 Feb 2016 at the Nowra Community Sailing Club in the Shoalhaven River, NSW. This was the first sailing regatta to utilise the INAS classification process. To be eligible to compete sailors needed to be on the Inas Master List, or be eligible to be on the Provisional Master List. Racing was conducted by a Yachting Australia accredited National Race Officer under the International Rules of Racing. There were ten entrants, including an enthusiastic team from Hong Kong who unfortunately were unable to be assessed in their homeland prior to travelling to Australia. 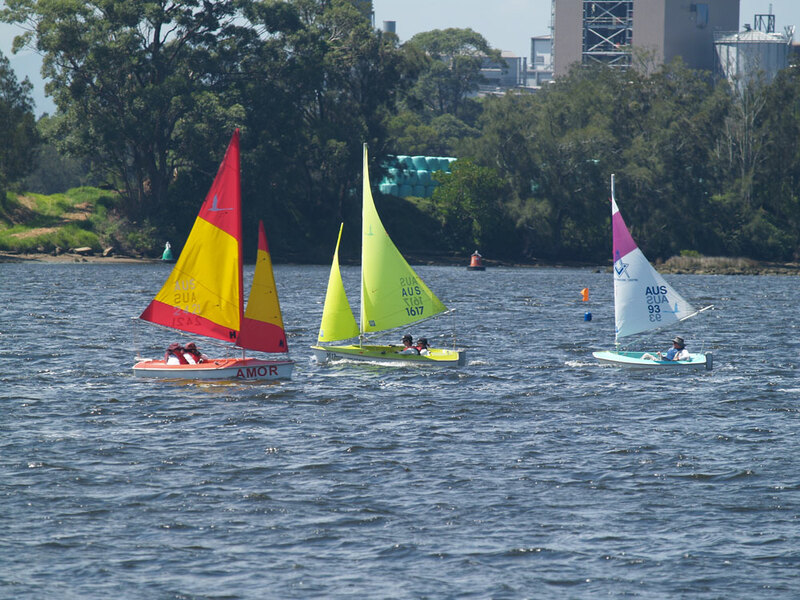 The Gala Regatta was a two day event with coaching and practise racing on Thursday conducted by Terry Peek who has much experience coaching sailors with an intellectual disability. On Friday five races were scheduled in each division. The experience of the four sailors in this division ranged from novice to vast sailing experience. Allister Peek of ACT won each race and showed great sportsmanship in assisting the other sailors. The other sailors in this division gained a great deal of experience for following regattas. As there was only one entry for this division, Melissa Saxby and Alsye Nelson sailed in division 3. This division is to support sailors who are not yet confident to sail solo or with another sailor so they are accompanied by an able bodied companion sailor. In this division three teams from Hong Kong competed, together with two teams from Australia. The 6th team was Melissa and Alsye, 2 sailors together. They achieved a commendable 2nd place, winning over the other teams with able bodied companion sailors. All competitors then competed in the NSW Hansa Championships which was an open event for sailors of all abilities.